Think about your communications with friends, family, and co-workers; these interactions include face-to-face discussions, meetings, phone calls, Skype, emails, and texting. What percentage of your communication time do you dedicate to “telling” and what percentage to “asking?” If “telling” dominates, you are missing a gigantic opportunity to deepen and strengthen relationships, and have a better life. A sure sign of excessive telling is loss of inner peace, arguing, defending, attacking, and thinking you are right and other people wrong. Why is it that “telling” is so popular? • It’s easier and takes less energy to “tell” rather than to “ask” great questions. • You have to think about what to ask and focus on listening to the answers. • Telling evokes defending oneself and attacking others. • Telling fosters competition rather than cooperation and collaboration. • It divides rather than unites. • You may be mistaken or out of touch. • You are denying yourself the opportunity to learn, grow, and expand. 2. Information comes from everyone you have interacted with, including social media and all life experiences. 3. Your brain tends to seek data that reinforces deeply imprinted information, regardless of whether or not it’s faulty. 4. Repetition and strong emotions lock experience into long-term memory. 5. Most everyone thinks they are “right;” this is a dangerous situation and the basis for discord and war. 6. You can change your internal programs by questioning your thinking and getting input from people you trust. The bottom line is that your “vault of information” (brain) stores past experiences. At best, the information is incomplete and perhaps faulty. If your life is flowing well, the chances are your stored information is serving you well. If life is difficult and challenging, this may be a wake-up call to think about what you have stored that defines your quality of life. The advantages of “asking” questions may seem a bit more obvious, now that you understand how your brain works. Asking authentic and courageous questions starts the release of limiting thoughts and replaces these “lower road” thoughts with “higher road” ones. The following are two short lists of questions to stimulate your imagination, catalyze positive change, and get you started on an exciting journey of self-exploration, better relationships, and a better life. • It’s safe and you’re 100% in control. • It’s fun and easy once you see the benefits. • You become more connected with others, while building rapport and trust. • You learn to understand and respect others. • You tend to be kinder and more compassionate. • Asking creates more inner space for inner peace. Author Post Script: You have another guidance system; it’s your heart and it’s rarely, if ever, wrong. Think about what life would be if you focused on your “heart’s desire” and used your brain to create and implement plans to meet your heart’s goals. The results will be beyond your wildest dreams. Can you see the logic and possibilities to form a partnership between your heart and your brain? 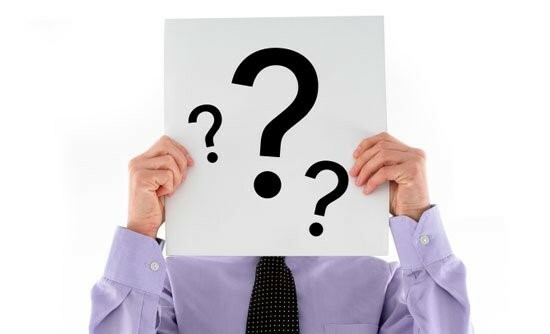 Just remember who you want to be the “boss.” Of course, you still want to ask questions of yourself and others; you will find that the questions get more profound and rewarding. 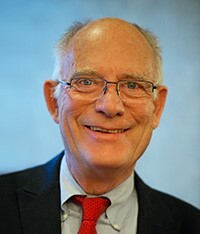 Authorship: Stephen Hager is President of The Hadron Group, creators of brain-based human development products since 1992. Stephen has dedicated his life to educating and helping people live better and less stressful lives through practical neuroscience. Hadron’s web site http://www.neuidentity.com showcases practical neuroscience solutions for personal, team, and organizational success. 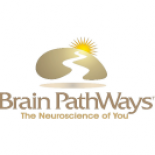 This entry was posted on July 10, 2015 by brainpathways in Uncategorized.